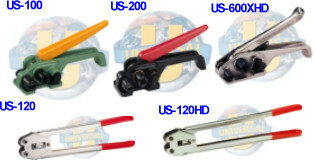 For bundling, unitizing, carton closure and palletizing in low to moderate production rates, Universal has a full range of quality manual and combination and tools to do the best job. Our premium Swiss tools are absolutely the finest tools that are available, they are manufactured in Switzerland by a world renowned tool company and are designed to give you many years of satisfactory performance. 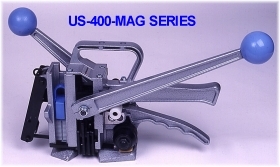 One convenient unit tensions, seals and cuts strapping to speed packing operations and increase productivity. 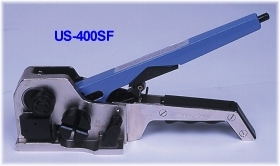 Our standard economically priced tools are light weight, yet sturdy, they can be used for any type of non-metallic strapping.